All big businesses today have realized the power of social media. Having no social media presence is the biggest mistake any business can make today. 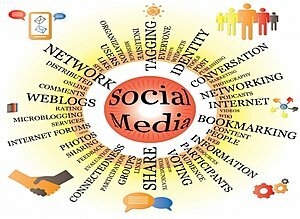 Social media marketing is the process of using social networking websites such as Facebook, Google +, LinkedIn, Pinterest, Twitter etc. to your advantage. The way to be popular here for businesses is to have the right “social” approach. This needs a well-thought planning and an infallible execution. One important concept to understand here is that social media marketing is not about selling stuff – it is more about becoming popular and likeable, and having a presence. Even though most businesses understand the importance of social media marketing, most of them fail at casting a worthwhile impression. It is because they take these matters in their hands too when they should actually hand over this job to a professional SEO company. Only an SEO marketing company would understand the intricacies of dealing with social media. First, there are so many social networking websites that keeping track of them all is nearly impossible unless you have an SEO company by your side. Furthermore, the content you share on social network needs to be shared with a lot of care. There are certain tools used for simultaneously targeting several social networking websites and only the most experienced SEO consultants understand how to use them. At WEBIZ we take pride in being the specialists of social media marketing. We can create and run your blog and social networking profiles for you. We know the way to engage your fans and followers and the method to attract more people to become your loyal customers. We know what language serves social networking platforms the best without sounding as if you were throwing a sales pitch. Our professionals are the denizens of online marketing world and therefore they are updated with the latest happenings. This allows them to keep your online social media accounts relevant with the rest of the world. It doesn’t matter what type of advertising you want and the type of content you want to work with, we have it all covered for you at WEBIZ.